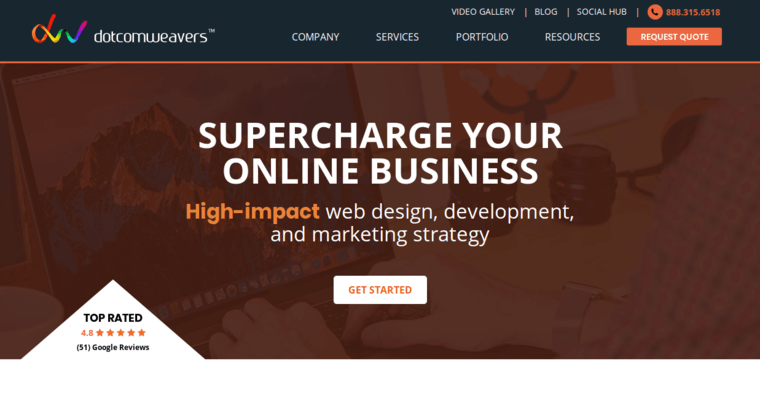 Organic, innovative, and engaging are three accurate words to use if you're trying to figure out what the professionals of Dotcomweavers are all about. 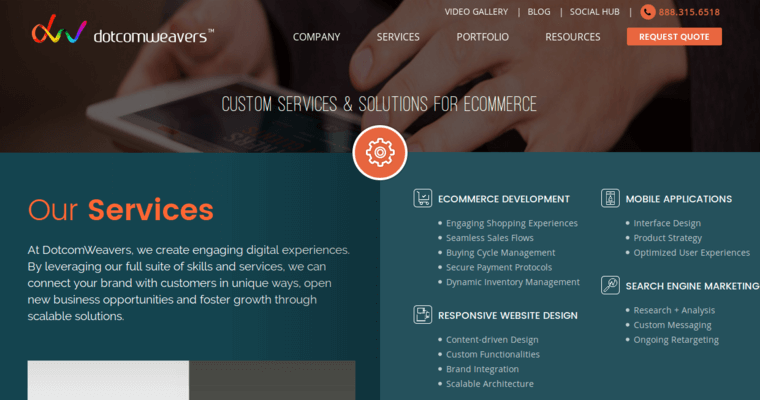 The passionate, precise, progressive professionals of Dotcomweavers utilize customized web design and development services to keep your organization on the path to perpetual growth in the ecommerce world. By consistently implementing creative site optimization services, the team's techies optimize your product pages in a manner that makes your brand more innovative and relevant to your unique audience. Also know that the team makes your brand more appealing by implementing techniques that make the site more engaging. 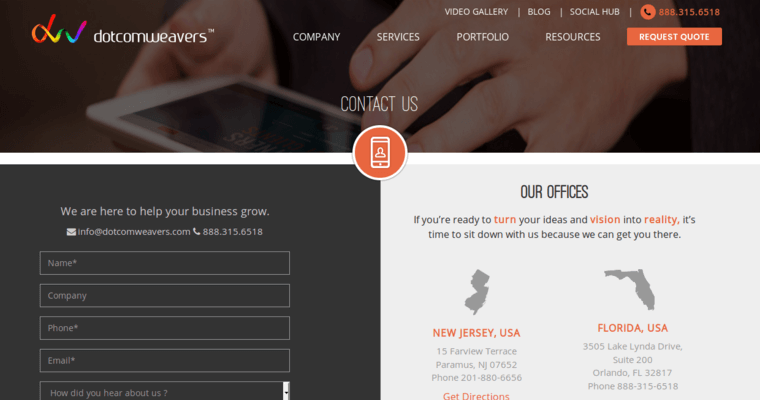 If you're ready to rock in the online world, there's only one web design and development team to trust: Dotcomweavers.